1. Don’t rush to file by April 15. If you’re not done in time, file a six-month extension. You no longer need to give a reason about why your taxes aren’t ready by the 15th. Instead, fill out and file Form 4868, and you’ll give yourself some extra time to get it all complete. Just don’t put it off until month five. 2. Stop being a perfectionist. Of course you don’t want to lie or make mistakes on your tax return. But the IRS won’t hunt you down for a simple mistake. If you’ve lost some information necessary to complete the return, do your best to fill it out with reasonable estimates. 3. Don’t be the Lone Ranger. 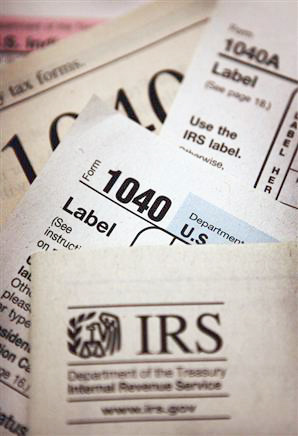 We aren’t all tax experts, and life events can complicate our tax returns. Getting help from a tax professional is much more affordable than you might imagine, and can pay off in many ways, including a lower overall tax bill. Check and double-check for mistakes or areas that were simply missed. Are your Social Security Numbers right? Did you miss any deductions or credits? If there’s something you don’t understand, there are plenty of resources available to answer your questions. You can go to the IRS or IRS Help Line, or check with a tax professional. 6. Be careful with direct deposit. Make sure the information you provide the IRS is correct – that includes the institution’s routing number (ours is 255075495) and your correct account number. If there’s a mistake, it may be a nightmare tracking down your funds.